Organisations no longer own their brand. Investors are no longer the sole influencer. Brands are co-owned by stakeholders: customers, employees, service partners, local communities and investors. Employees want a sense of meaning and fulfilment more than a monthly pay packet . . . and outsourced does not mean out of mind – these employees represent the organisation every bit as much as employed employees. Customers’ expectations are increasing and they vote with their wallet or contactless card. Social media amplifies all stakeholder opinion in what some are calling the age of the naked organisation. How alive is your organisation's Purpose and Values? How inspired are the employees representing the organisation? How passionate are your customers? How consistent is the service delivered by your organisation across geographies, functions and channels? How do the functional centres support the business? . . . or do they operate unilaterally? How “connected” is your senior leadership with the front line and customer-facing employees? Is your business at risk . . . without even realising? There is little doubt that a different approach is needed for organisations to create sustainable performance. Collaboration . . . engagement . . . agility . . . and innovation are the new black. The successful SERVICEBRANDs of the future will be those who share common values with stakeholders. We refer to this paradigm as The Values Economy. Values are the things that are important to us, the foundation of our lives. They are deeply held principles that guide our choices and behaviours and influence our emotions. Values are the core of who we are. They are our motivators, our drivers, the passion in our hearts and the reason why we do the things we do. In a world that is constantly and rapidly changing, values serve as a compass to navigate uncertainty. Research has shown that purpose and values-led organisations consistently outperform. PwC conducts an annual CEO survey and presented the results of the latest edition at the World Economic Forum in March 2017. Based on input from 1,379 CEOs worldwide across multiple sectors, this year’s results suggest that business leaders are acknowledging the unique challenges and opportunities that have come about due to globalisation and technological change. In response to this radically new environment, CEOs are focusing on three key areas: managing man and machine; gaining from connectivity without losing trust; making globalisation work for all. 58% of CEOs are worried that lack of trust in business is a threat to continued business growth. In a more digitalised world, 69% of CEOs think it is harder for business to gain and keep trust. In response, 85% of them responded that it is crucial to run business in a way that accounts for wider stakeholder expectations, and 93% agreed that a strong corporate purpose is essential, one that is reflected in their organisation’s values, culture and behaviour. These results clearly demonstrate the importance of values recognised at the C-suite level of some of the largest organisations in the world. How can groups and organisations put their values into action? In other words, how can organisations design their internal culture? Purpose and values set the foundation for an organisation’s culture, and are core to its way of working. Culture is not an initiative or a project. 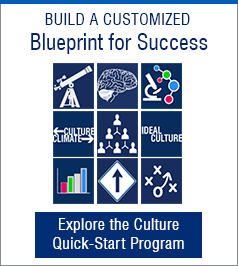 Culture is the sum of habits and behaviours, and thus the best place to put values into action. 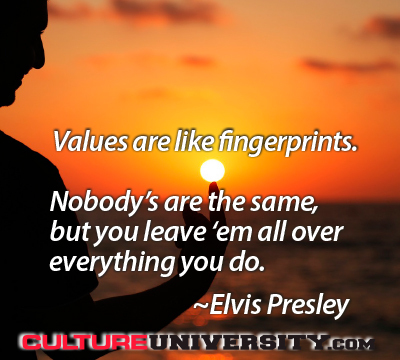 Organisations can make conscious their values and then empower employees to live those values via everyday behaviours. Culture may be intangible but the benefits are very tangible. If an organisation’s values are clear, they can and retain employees who share the same values. With shared values, there is greater trust within the organisation – employees feel safe and valued with a strong sense of belonging. With a truly shared purpose, organisations can achieve more than as many individuals could alone. As a quick start, the core initiative for this year’s World Values Day in October could be a very worthwhile exercise. A one-hour working session called the Values Challenge for organisations to identify one of their chosen values to work with and then agree to (at least) one action that will close the gap between the aspired state and the current, day-to-day reality. Details and free resources are at https://www.worldvaluesday.com/values-challenge-for-organisations/. World Values Day is an opportunity for us to think about our most deeply held values and to act on them. By truly putting those values into action we can help to change the world. I encourage your participation, look forward to your success, and welcome your questions and discoveries. 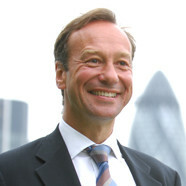 Alan Williams, SERVICEBRAND GLOBAL, coaches leaders of service sector organisations, internationally and in the UK, to deliver values-driven service for sustained performance. He created the 31Practices approach to translating values into practical day-to-day behaviour and is a published author and speaker whose award-winning projects have delivered measurable business impact across a balanced scorecard. Alan is a past President of the Meetings Industry Association, a Fellow of the Institute of Hospitality, a Board member of BQF, a Founding Faculty Member of Culture University, a Steering Group member of the UK Values Alliance, and Founder of the Global Values Alliance.